What Makes Technology in Practice Unique? Marlon was a first-time Technology in Practice speaker last year when he joined two panels to discuss the "Evolution of Legal Project Management" and "Legal Services Innovation", and we are so glad that he is joining us once again in 2015. When he's not speaking at Technology in Practice, Marlon is an associate in the Advocacy Group and Head of Discovery Management at Cassels Brock. In this role, Marlon designs customized and strategic discovery solutions for litigation matters through collaboration with the firm’s litigators and clients. 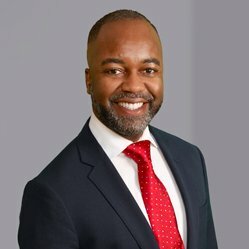 Marlon is committed to providing advice and direction on every stage of the ediscovery process to ensure legal defensibility, cost-effectiveness and efficiency. He also applies his experience as a member of the Ontario ediscovery Implementation Committee and the Sedona Conference Working Group 7 to implement forward-looking principles and ediscovery best practices..
Q1. What do you find most valuable about attending Technology in Practice? "The practical focus on real issues of the day. I find that there is usually content that I can take away and apply in my practice immediately. As a speaker, I find the sharing of information that the conference facilitates among speakers to be tremendously valuable."